Diwali, the festival of lights and love is arriving. We wish to spread happiness and light in maximum underprivileged homes and street families this year by distributing colorful Diyas to them! 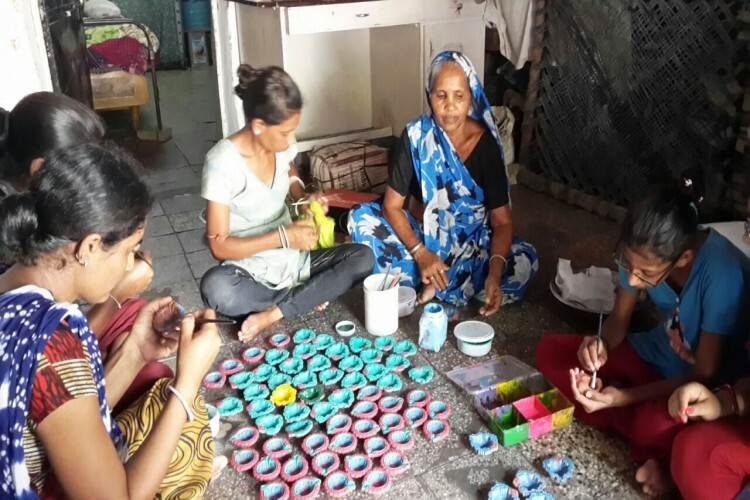 With your support, we will donate a pack of TWENTY colorful waxed filled handmade Diyas to a street or a slum family with just a minimal donation of 250 Rs. Beautifully handcrafted with love, every Diya you will buy depicts a heartwarming story of struggle and dedication which our women have poured in and gives us a humble opportunity to wish you Happy Diwali. The Pink Foundation is a Non-Governmental Organization (Registration number-E/20638/ Ahmedabad) run by a group of professionals facilitating community development initiatives. It promotes holistic development of marginalized sections of society, by adopting an integrated approach with main emphasis on Four Es: - Entrepreneurship, Employment, Education and Empowerment. The prime focus is on developing self- dependence in women, children and youth to enable them to lead more effective and satisfactory lives. Your share could be as good as a donation for The Pink Foundation - NGO! Not everyone can afford to take care of their loved ones. The Pink Foundation - NGO's life can only be saved by donations made by kind people like you.